Crowdfunding is now the cool way of generating funds to turn a great idea into an actual product. But it’s not as simple as quickly creating a page on Kickstarter and waiting for the cash to start rolling in. It takes a lot more work to run a successful crowdfunding campaign than most people think. So here are a few simple tips for the best chance of success. Consumers are savvy people, and that’s just when they’re buying products already in existence and available for sale. So when you’re asking them to spend money on something that’s still not much more than an idea, you need to make sure you look professional so that they trust you. This means ensuring your branding is sorted. You’ll need to think about things like logos and website design, and the words on your website. The idea for your new product is unlikely to appeal to everybody, so don’t try to target everybody – if you do this your messaging will end up an unfocussed mess. Work out who your product is really for, and then focus your marketing messaging at them. The more money you ask for, the less chance you’ll have of reaching your goal. So don’t ask for more than you need. Work out the lowest amount of cash you actually need to succeed. During your campaign, let people know what’s going on. Talk about your crowdfunding project on social media, on your website, or maybe even host an event to generate some excitement. 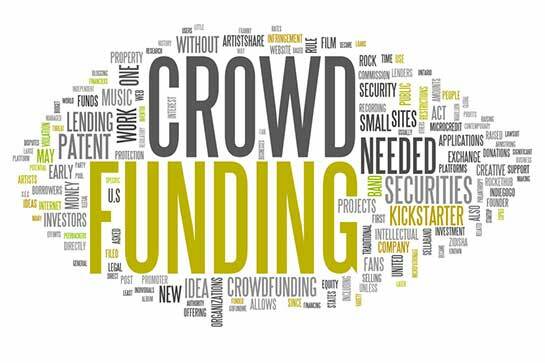 The aim here is to get more people investing in your crowdfunding campaign, but also to keep people who have already invested happy that things are going okay. Running a crowdfunding campaign is hard work. Lots of hard work. And if you’re doing it right, the hard work starts long before the campaign goes live. Other than actually starting the planning and developing of your product, much of the work is in the marketing and getting as many people excited about it as possible. It’s a good idea to spend at least six months planning before the campaign goes live. To see what works and what doesn’t work, you should have a look at crowdfunding campaigns with a similar product or idea to your own. And one of the great things here is that crowdfunding is so open – you can see exactly how much money other companies tried to raise, and how successful they were.